Rip, it is great that you provided links to programs that used WordPress. Can you do the same for succesful examples of programs that used Canvas? 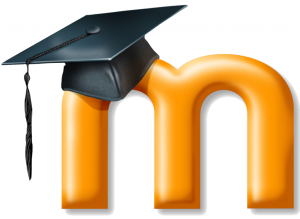 Unfortunately, like Moodle, these sites are set to private so that only the teaching faculty and their students can see the content. That said, we are working towards making some publicly visible courses available to demonstrate different ways that folks have successfully build Canvas courses. Check out this site for one example of a public canvas course. More to come! I went through the Canvas training last year; at first glance, it seemed like a good tool. However, at one point the instructions said something like “click on settings.” No problem! There were two places on the page with live links, called “settings.” Surprise! The “settings” link that I was actually supposed to click on was an image of a gear. Canvas has THREE options to “click on settings” within a single page, two of which sent me way off-course. This seems unworkable and unnecessarily confusing to me. Can we please have a clear program without all the confusing side-tracks? I was told during the training that I “just have to know which one.” I “just have to know”? And with that, my brain shut off and I decided to just use WordPress.